Tokyo's Akihabara is Japanese nerd heaven. 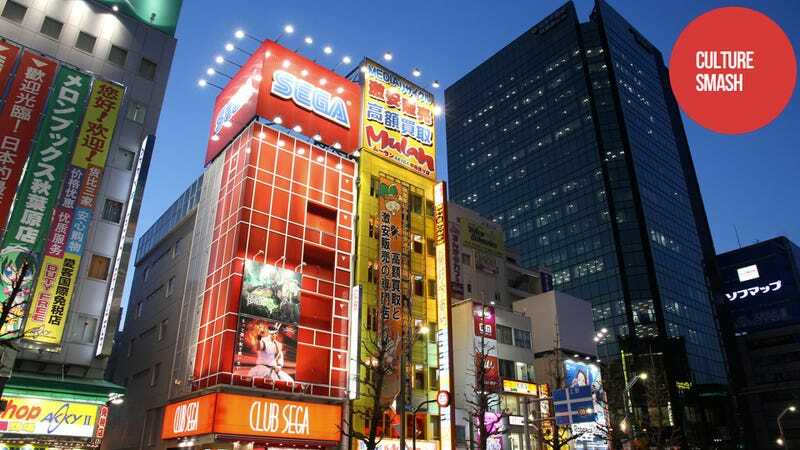 If you are a geek in Tokyo, then you'll want to spend some time in Akihabara. Maybe you'll want to live there. Then maybe you can live here? You get one room, a bunk bed, a space under your bunk bed, a TV, an air conditioner and a shower you must share with others. Did I say room? Sorry, I meant box. The monthly rent for this guest house is ¥37,000, plus a ¥5,000—that's USD$466! That's... a lot, even for this part of town, even with its location. The apartment, which was built in 1973, is very old by Japanese standards, and it looks like it is a regular apartment that has been divided up into several rooms. Online in Japan, people are saying it would be better to live in a net cafe or a capsule hotel instead of this place. Some are even pointing out how they pay this much in rent and have their own place. Others are saying this guest house is probably packed with foreigners—an unintentionally telling insight regarding how difficult it can be for some foreigners to find housing in Japan. Sometimes, building owners do not want to rent to foreigners because they are worried about language problems—or even about foreigner skipping out on rent by skipping the country. Then, there are foreigners who do not want to pay the costly upfront fees to rent apartments. Apartments in big Japanese cities do run small, especially one room apartments—hence why using Kinect in Japan was a concern. But even by Japanese standards, even by room sharing standards, this is teeny. So, if you do live in Akihabara and are on a budget, you can do better than this. Do look around.